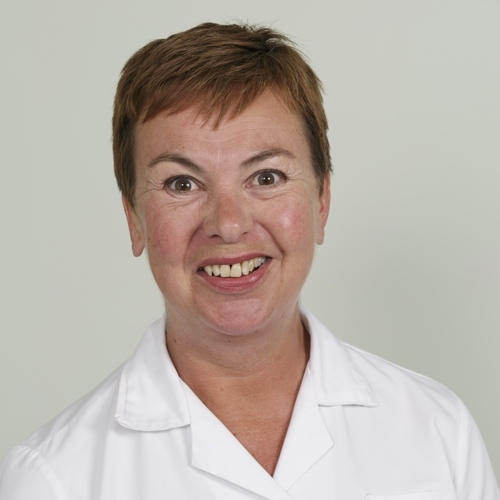 Janet has worked in the clinic for over twenty years. Originally from Kent she came to Bury St Edmunds after graduating from the Anglo European College of Chiropractic in 1994. Whilst here she met and married her husband in 1999 and has considered Suffolk her home ever since. The majority of patients are treated with joint manipulation but Janet also uses blocks, an activator and dry needling to reduce muscle spasm and pain. She has developed an interest in treating the pregnant patient and has helped many women through their pregnancies and beyond. For many years she has been a specialist in extremity manipulation, for example working on feet, elbow or shoulder problems although this list is not exhaustive. During her chiropractic training Janet was involved in a serious car accident and had to spend four months in traction which she feels has given her empathy with the pain and frustration that many patients feel. She is a keen gardener and enjoys travel. She goes to the gym regularly and practices yoga daily.